And we will cover all of these issues and more at Inman Connect New York later this month. 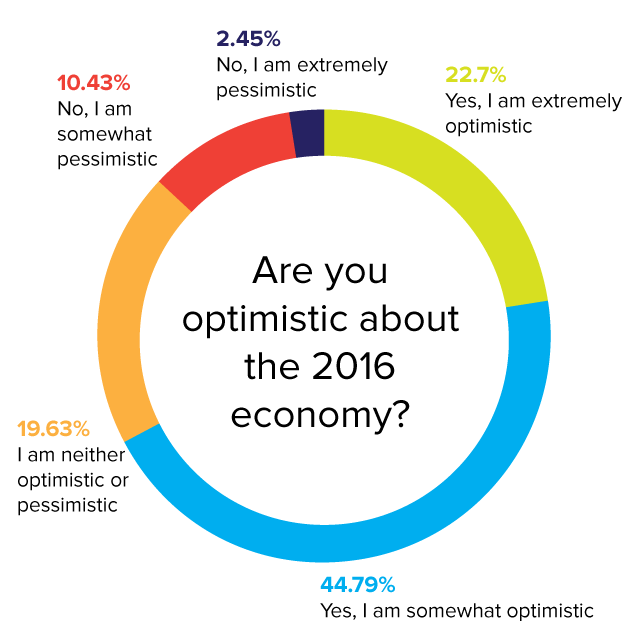 Are you optimistic about the 2016 economy? Sixty-six percent surveyed said they are either extremely or somewhat optimistic about the US economy. As one respondent said, “I believe and feel the market is making a good, slow, and steady recovery.” That sentiment explains why almost half of respondents are “somewhat” optimistic, while 20 percent were “extremely” optimistic and another 20 percent were on the fence. Eleven percent of respondents were pessimistic about the 2016 economy. 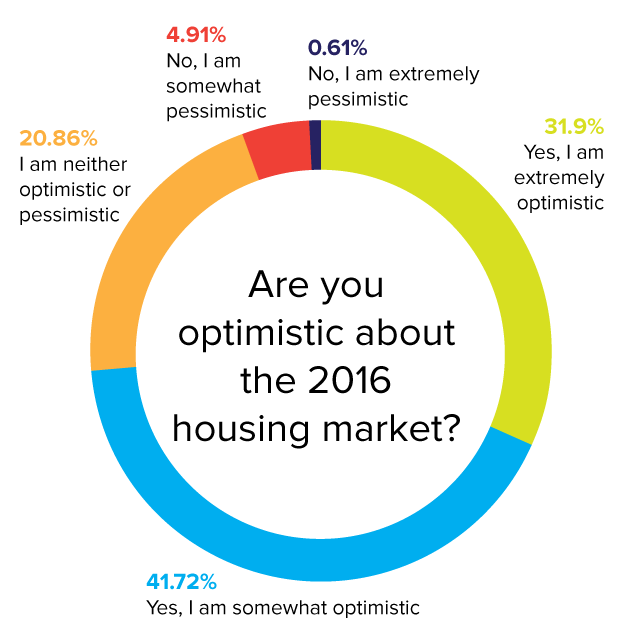 Predictions about the housing market in 2016 are equally bullish, with 30 percent extremely optimistic and 42 percent somewhat optimistic. Only 6 percent are somewhat or extremely pessimistic. 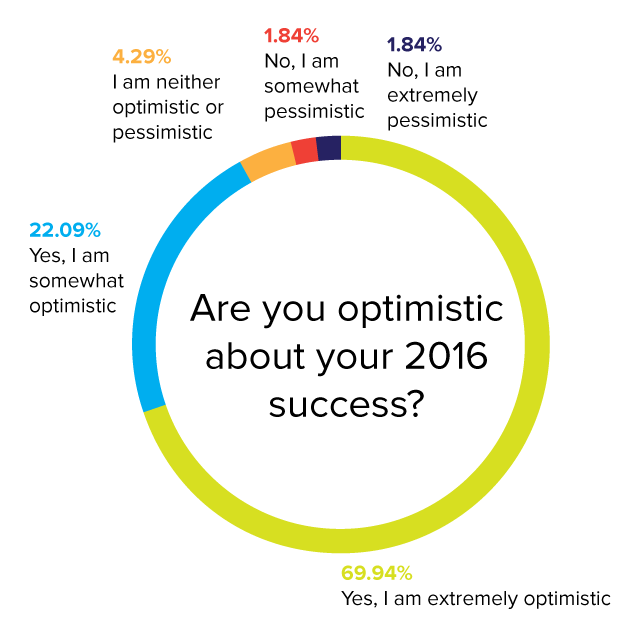 Are you optimistic about your 2016 success? Personal confidence in their own success was extremely high. Almost 70 percent of respondents were extremely optimistic, and 23 percent were somewhat optimistic. That effusive spirit is generally the attitude of many commissioned real estate professionals, who often have only their positive attitude to persevere through the ups and downs of the industry. Are you planning to expand, contract or maintain your business in 2016? With that confidence, the vast majority of those surveyed plan to expand their business in 2016. Spread across the United States, respondents offered a litany of issues that they were concerned with, including terrorism, competition, big upticks in interest rates, shortage of inventory, a slowdown in home price appreciation and their own personal quality of life. The responses were almost an equal mix of the externalities that respondents cannot control — like global unrest — and the ability to execute personal business plans. “Sometimes I get overwhelmed with all I must do to be successful,” said one respondent. 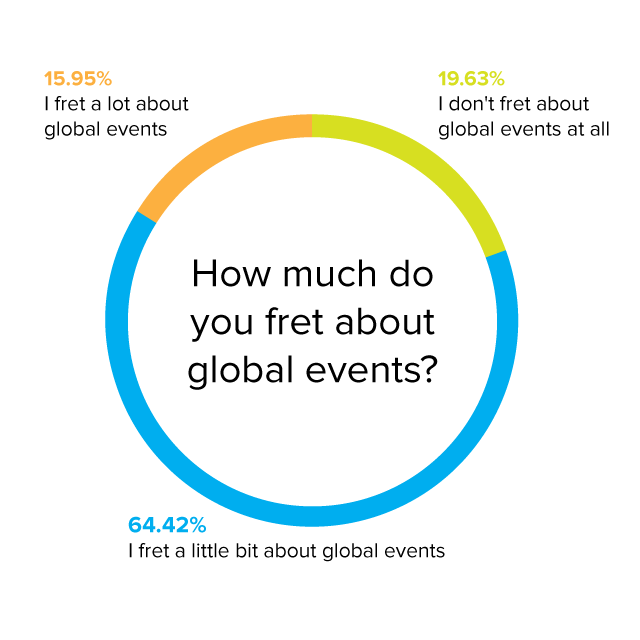 Global events are not lost on the respondents, with 64 percent fretting “a little bit” about these issues and almost 20 percent worrying a lot. “Because real estate is no longer local, it is global. When I entered real estate in 1989 it was all about selling a home in a specific neighborhood. Now the events in the Middle East, international oil prices and the economic downturn in China among other factors now affects my market,” said one respondent. 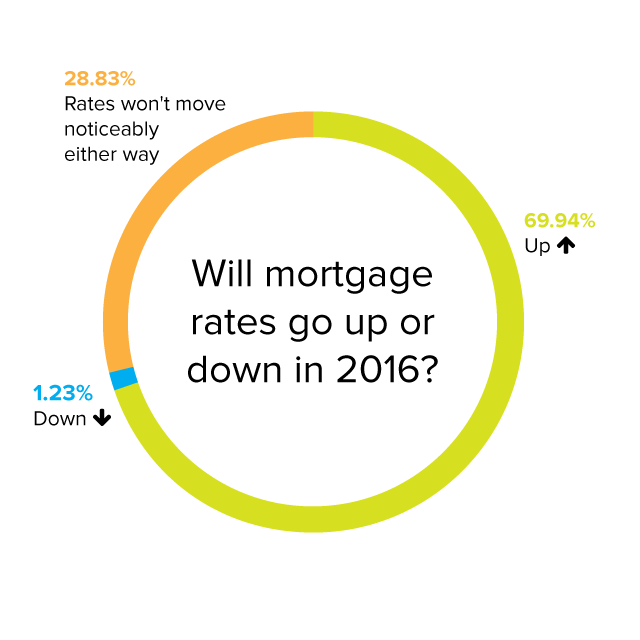 Will mortgage rates go up or down in 2016? Those surveyed were realistic about where interest rates are headed. 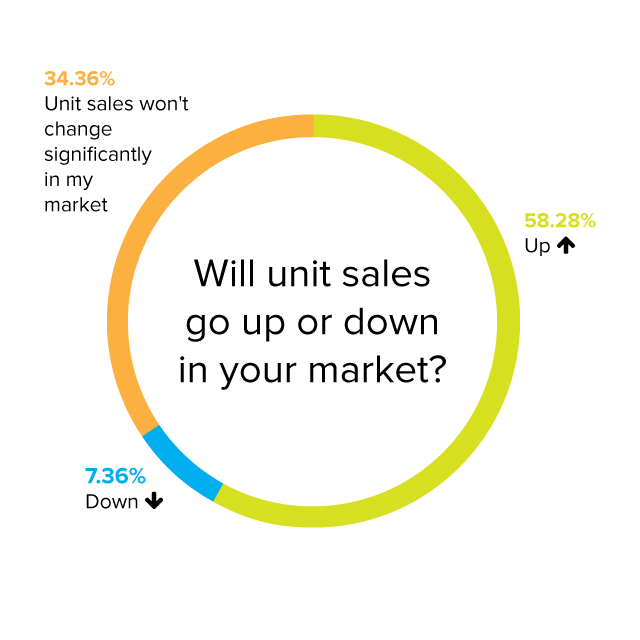 Will unit sales go up or down in your market? There are high expectations that were be more home sales in 2016, and respondents were even more optimistic that home prices will continue to rise over the course of the next year. 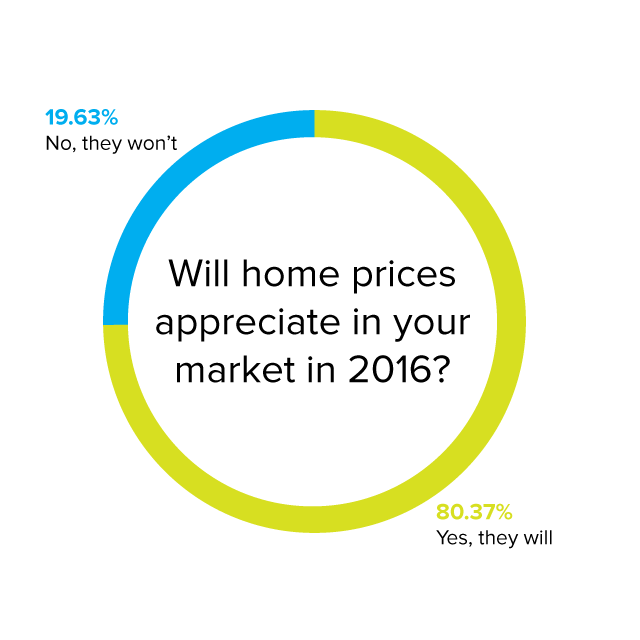 Will home prices appreciate in your market in 2016? 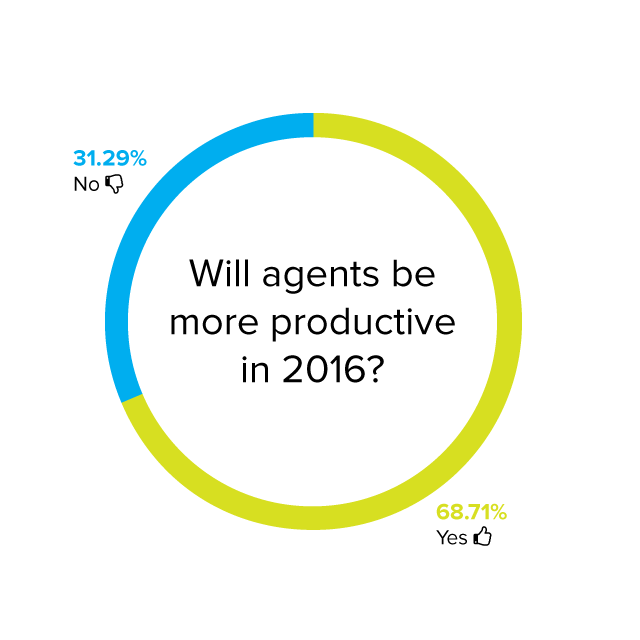 Will agents be more productive in 2016? 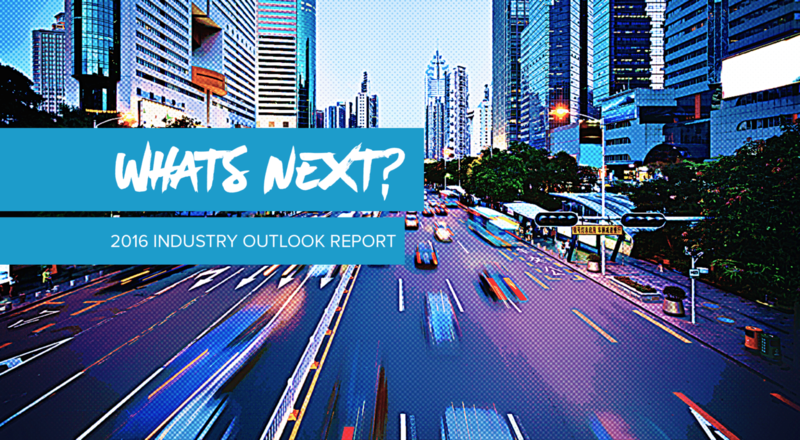 The majority of those survey expect agents to be more productive in the coming year. Almost 70 percent leaned toward productivity and gave technology the nod as to why. “More agents are being introduced to technology tools and services to help make their business more efficient,” said one of those surveyed. “There are more and more off-the-shelf tools available to agents to increase their productivity and move the bar of top producers and their teams from an average of 7-10 transactions a month to 10-15,” said another. And to do so, agents must invest. Productivity is also related to how agents organized their business, how focused they are, what they emphasize in their business and the the more active role consumers play in the transaction. To keep up, agents must restructure how they work. Part of this shift is driven by change as more agents give up working solo and begin to work in teams or even move away from the business. However, some of those surveyed emphasized traditional approaches to the business. 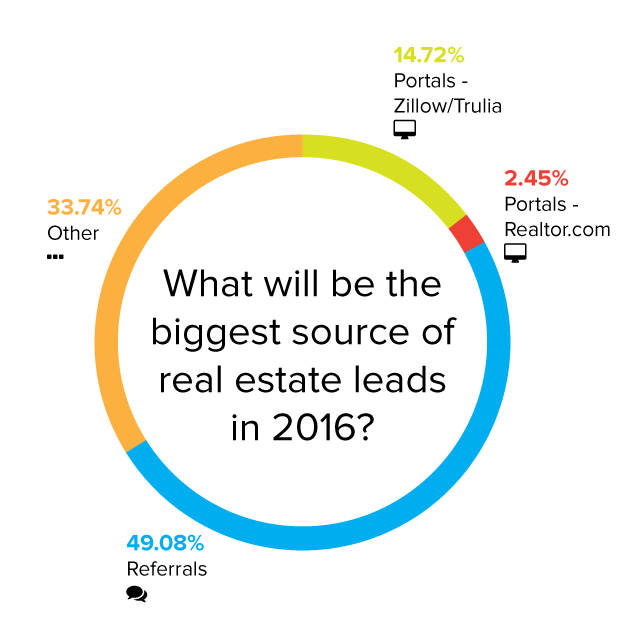 What will be the biggest source of real estate leads in 2016? What will be your biggest challenge in 2016? 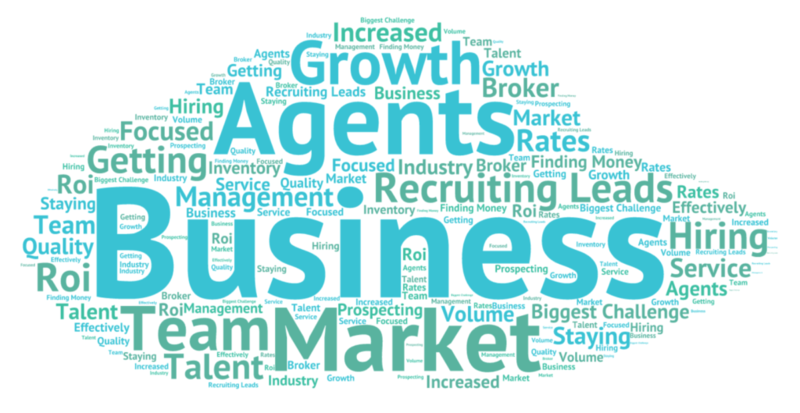 Market conditions, recruitment, technology adoption, lead generation and training are identified as the biggest challenges for many agents. But the challenges of this very diverse and fragmented industry are many. Those surveyed did not have many strong opinions about insider industry issues, like the Broker Public Portal or the Upstream project — nearly 20 percent were not familiar with these big broker initiatives. 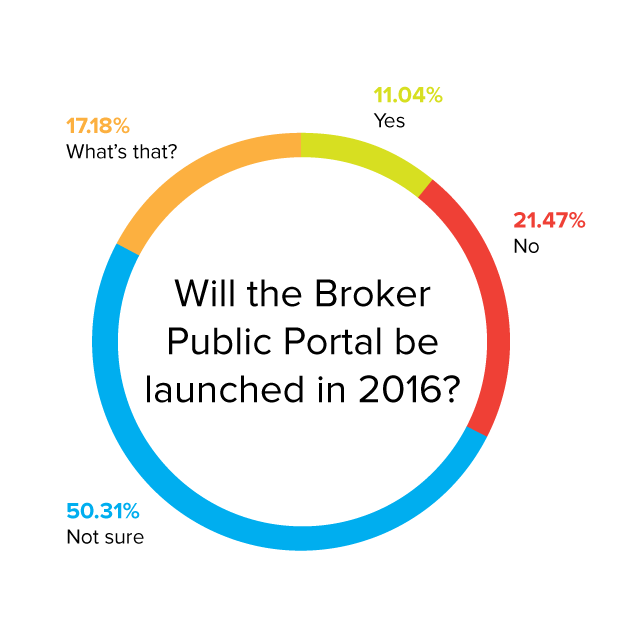 Only 10 percent said they thought the Broker Public Portal would get off the ground this year, 22 percent said it would not, and half of those surveyed were not sure. 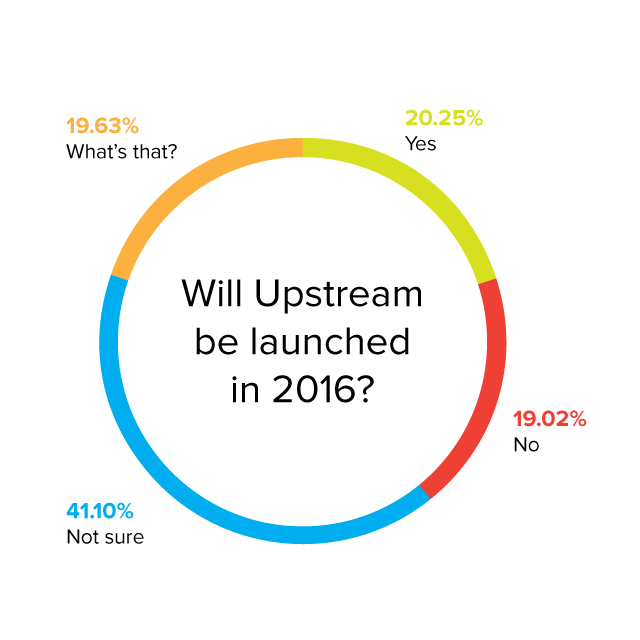 Upstream followed more or less the same sentiment as the Broker Public Portal, with 20 percent expecting it to be launched this year, 20 percent saying it would not and 41 percent unsure.